The Center for Whale Research in Washington state reported that officials watched the orca, known as J35, chase a school of salmon in Haro Strait west of San Juan Island on Saturday afternoon. 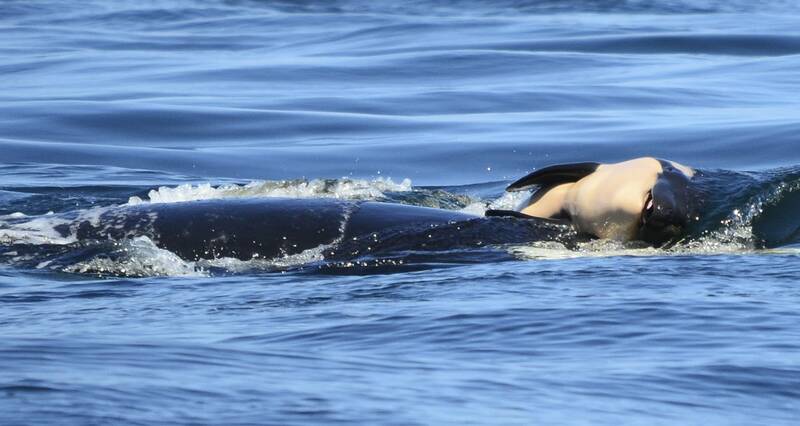 The whales have been struggling because of a lack of salmon, and J35's calf died soon after birth on July 24. The mother carried the baby on her head for at least 17 days, in an image of grief that struck an emotional chord worldwide. Center for Whale Research founder Ken Balcomb said he is immensely relieved to see J35 returning to typical behavior.